Within minutes, bake a number of pretty little cookies by using this pack of two cookie sheets. 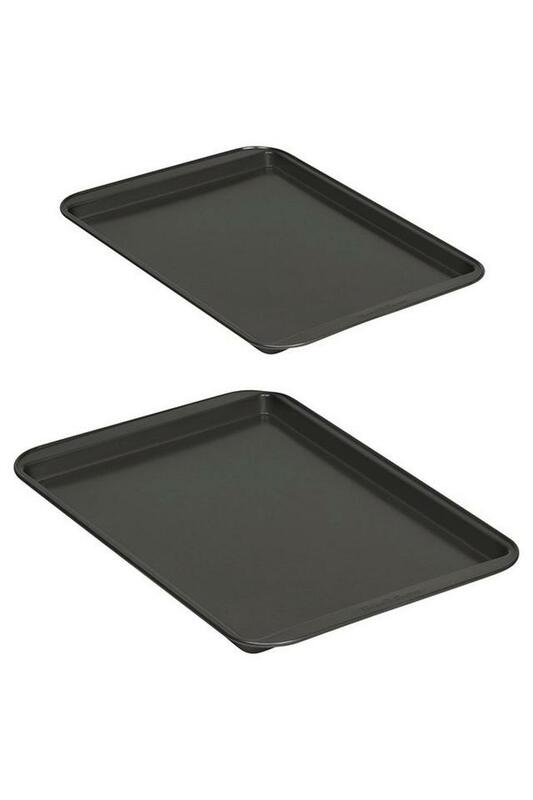 Covered with a superior quality silicone non stick coating, the cookie sheet helps the cookies to slide off it right after baking. It is also metal spatula safe and dishwasher safe that add to its utility. Baker’s Secret introduces this pack of two cookie sheets to make baking hours joyful. """Baker's Secret bakeware is the original non-stick bakeware with decades of manufacturing experience designed into every pan. In 1888 Edward Katzinger founded a commercial baking pan company in Chicago which became EKCO Housewares Company. In 1972 Baker's Secret bakeware was introduced by EKCO. Baker's Secret bakeware is available in a variety of shapes and sizes to satisfy all your baking needs."""